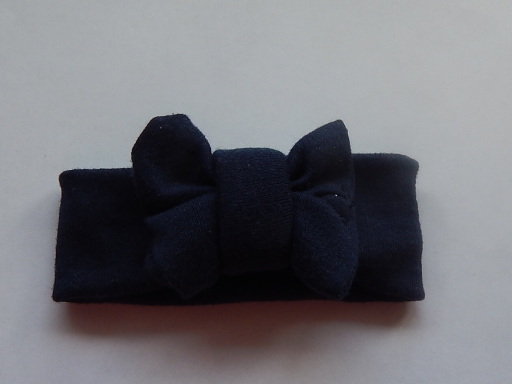 adorable Premature baby headbands here limited edition colour in rich navy blue shade. she will look ever so cute when your premature baby girl owns one of these soft and stretchy cotton headbands. handmade in UK by Snuggies™ in red it will also match her colourful outfits, Its very small compared to newborn sizes which would just slide off her head way too easily.